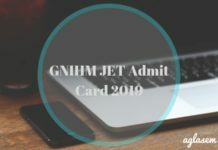 The BVP HM Application Form 2019 has been released by the Bharti Vidyapeeth (Deemed University). The BVP HM 2019 application form is released on the official website of BVP. Interested aspirants can now apply for the entrance exam through online mode at admissions.bvuniversity.edu.in. 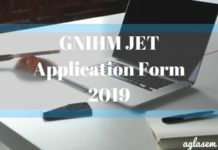 No printed BVP HM Application Form 2019 shall be available. To apply for the entrance exam, you need to register for it first. The aspirants should provide their own email id and mobile number as the Univeristy will inform them about the latest update in the exam through Email and SMS only. Submit the application form for BVP HM 2019 before the last date, or else your form will not be accepted. Also, note that the University shall not provide any online facility for editing details in the application form. 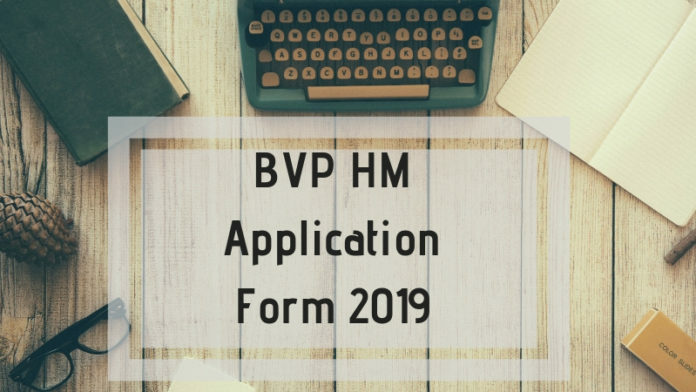 Check complete details about the BVP HM 2019 Application Form in the article below. Latest: BVP HM Application Form 2019 has been released, apply online using the link provided below. Dates regarding admission to BVP HM has been declared by the university website. Also, we have provided the important dates related to the BVP HM Application form in the table below. 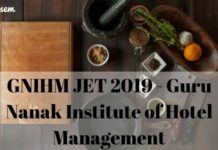 How to Apply for BVP HM 2019? The application form for admission in Bhartiya Vidyapeeth will be available through online mode only. Interested candidates will have to fill in the application form and pay the application fee that is to be submitted to the university. Without the payment of application fee candidates will not be considered as registered. The process to apply online for BVP HM 2019 is elaborated below. Click on the direct link which will be provided on this page as soon the registration for the BVP HM entrance exam starts. 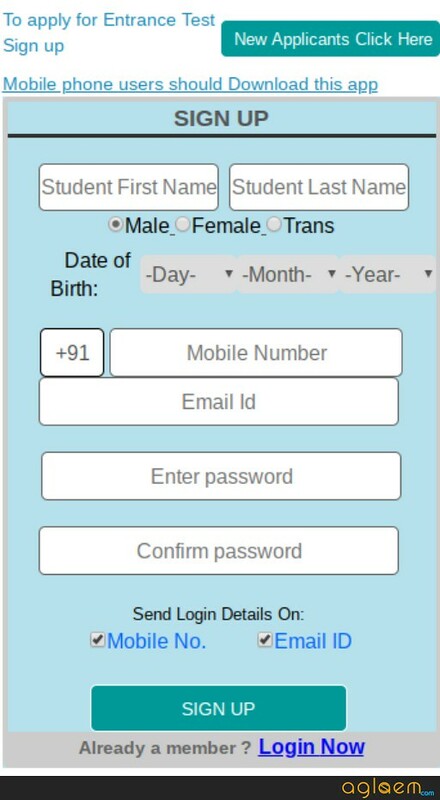 To register online, you need to enter details such as date of birth, Mobile number, Email address. A password is to be selected and created as per the candidates wish. Choose the mode of receiving the login credentials. You can choose between Email ID and SMS to receive the login credentials. Click on the “Sign Up” button to submit the registration details. Next, you need to login by entering the details sent to you on the mode chosen by you. Enter your User Id/ Email ID and Password in the specified fields. Click on the “Sign In” button to submit the login details and proceed to the next step, which is entering the necessary information in the BVP HM 2019 Application Form. After entering the necessary information in the form, you will have to upload the scanned images of your passport size Photograph and Signature. The images which are to be uploaded in the BVP HM Application Form should be done as per the specifications given below. The last step of the application process is to pay the requisite amount of the application fee. The aspirants have to pay an amount of Rs. 1200/- by online mode using Credit Card/ Debit Card/ Net Banking. All the information provided in the application form must be authentic. Any false information will lead to cancellation of the application form. Application fee once submitted cannot be refunded to the candidates. Candidates should take a printout of the application form after completing it. If you have any queries about the BVP HM 2019 Application Form, then let us know in the comment section below.